What Does The New Construction in Boston Mean For Developers? You talk about the amount of new construction going on in the city, what is going on with that in a nutshell? Right now you are seeing the most construction going on since they filled in the Back Bay a 100 years ago. Alarming at first take by the numbers – but, with the lack of housing over the past years, the market can actually take it. However, developers are producing the same product which is box luxury units which and competing on amenities instead of different types of units. This means the same product is being marketed to the same consumers – in a large way. How do you see this changing in the next 3-5 years? I think that we are going to see, especially with the length of time permitting takes in Boston, that this product will see its fill and we will see a shift towards more unique properties. More innovative, green town homes, work/play spaces – all of these can have a big piece of the market in Boston. There is only so much space in Downtown Boston, so you will see a trickle down transition to other areas as well. Who are moving into these new luxury buildings? We see a parallel with empty-nesters leaving their big houses in the burbs and also millennials. These college grads and young professionals all have an appeal to the same types of units which creates an interesting dynamic to a developer. How does this create opportunity outside of the city? If you are adding thousands of new apartments, you are bringing population to the area. With these people, there comes infrastructure, restaurants, etc. which mean they need workers. A lot of these workers can’t afford to live in these luxury spaces so there will be a need for housing in surrounding areas. This has a huge impact on the need for these types of properties. 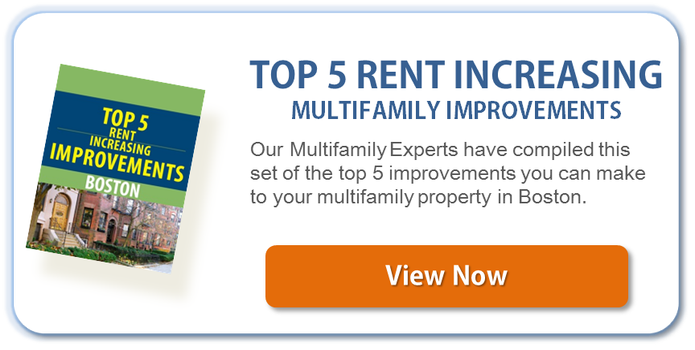 What areas do you see really coming up in the multifamily market in the next 5 years? I think you will see Quincy, Braintree, Revere, Chelsea, East Boston all significantly growing. Also, the city is working hard to build transist to these areas to move people around. This will greatly impact supply (and prices) in these areas. Hear Bobby on his most recent appearance!